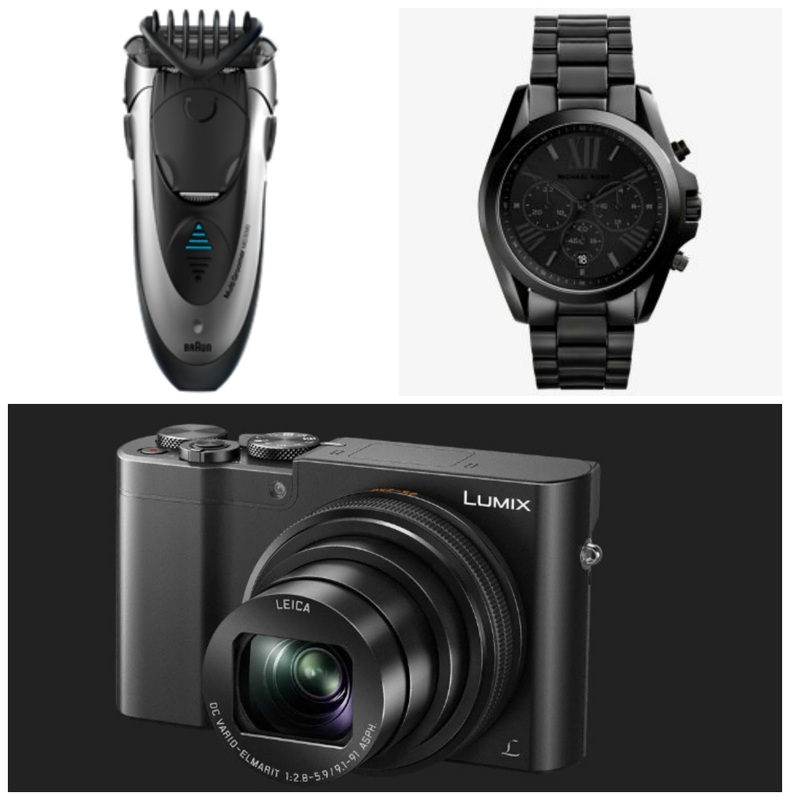 Life with Liv: Christmas shopping for the Man in your life? Hopefully my gift guide will help you. Christmas shopping for the Man in your life? Hopefully my gift guide will help you. I don't know about you Guys but the Men in my Family are far harder to shop for than the Ladies. Between my Husband and Dad, I am always getting stressed out about what to buy them. So to help you - and myself - I asked them for ideas for a gift guide and included a few of my own. Making it easy to create the perfect goatee, sport stylish stubble or a clean shave, the Braun Multi Groomer 3-in-1 system allows you to trim, style and shave all with one product. My Husband has secretly had his eye on this gorgeous Michael Kors stainless steel Jetmaster Chronograph Watch. However with an RRP of £279 I thought it was way out of budget. That was until I discovered Michael Kors at Love the Sales! Within moments I found the same watch priced at £167! No complaining at that price, maybe Santa will grant his wish this year after all! Check out the LUMIX TZ100. From the first LUMIX TZ camera in 2006, a lot has changed to get to the new LUMIX TZ100. Known to be the Panasonic Travel Camera of choice for wanderlusters, capturing beautiful images from around the world, the new LUMIX TZ100 is the most advanced yet. Boasting a combination of innovative features like post focus, which actually allows you to adjust the focus-points of your images after you've taken the picture, it truly lets you capture those unforgettable travel moments in incredible detail. If you have asked Santa for a camera like this, don't forget to remind him that you will also need a high performance memory card, as they determine how fast an image is saved and uploaded. If you're taking HD videos and high resolution images then it's best to invest in a good memory card too. With a traditional button up jacket, featuring a collar and pocket, this red and blue check Jockey 100% cotton pyjama set is both traditional and functional. The trousers are a relaxed fit, made for comfort with an elasticated waist and buttoned fly. Completely crafted out of fine quality pure cotton, this set would be perfect for old and young alike. Made from 100% soft cotton and completely machine washable, they are easy to care for, stylish and comfortable. A great gift idea this Christmas. 100% cotton to machine washable. For my Husband it is HUGO BOSS - BOSS Bottled Intense. Available in EDT 100ml, for £63.50 at The Fragrance Shop, BOSS BOTTLED is the fragrance for the stylish Man of Today. An updated version of the classic BOSS BOTTLED, BOSS BOTTLED. INTENSE is brimming with lovely spicey and wood scents. The overall effect is a lovely fragrance that isn't sweet, very luxurious, and classically masculine. My Husband has these Chester leather ankle boots from Chatham marine and he absolutely loves them. A boot shape with the classic brogue style these Chester boots are made from premium burgundy leather, feature a padded collar, pebble leather heel and classic brogue detail. An integral part of Christmas, this port is the perfect tipple for the festive season. One of our Family traditions for many years has been an indulgent cheese board complete with a glass or 3 of Cockburns Speacial Reserve on Christmas Even. We even leave a glass for Santa - if there is any left! Introduced back in 1969, Cockburn’s Special Reserve was so ground breaking that it created a whole new Port category and has since been the drink of choice for families and friends toasting those special moment. It's unique flavour, with notes of strawberry and plum, comes from being matured in oak casks, which in turns gives it the full bodied dry finish which made it the benchmark for all Reserve Ports. It's a classic for a reason! With over five generations of expertise, this blend is crafted in three types of wood to make it triple good. 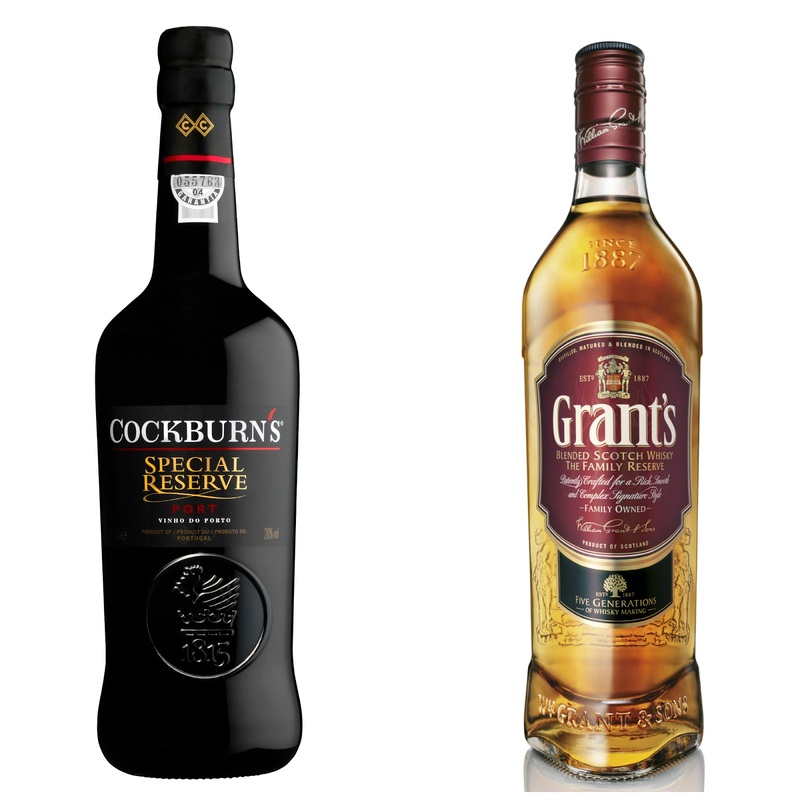 Grant’s Family Reserve is Scotland’s oldest family run blend, which will keep you coming back for more with it's smooth, Rich, and Mellow taste. 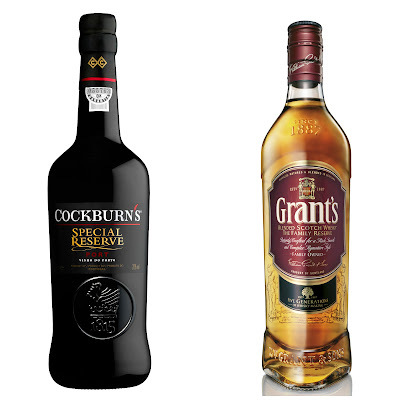 Whether he enjoys his whisky neat, on the rocks or with a mixer, he will love Grants. *Disclaimer - some items in this guide were sent for me to consider featuring. However all opinion is my own.